Until Richard tried RVT RTK, he was convinced he wouldn’t need it. Since installing it in 2014 the repeatable accuracy and instant signal has meant he won’t go back. “Backed up by the support from RVT’s team, RVT RTK has taken the stress out of the job” comments Richard. 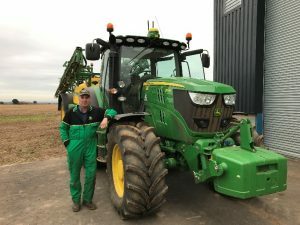 Mr Bruckshaw runs a fleet of John Deere tractors, a T670i combine and 732i sprayer on his 600+ acre farm in Shropshire. 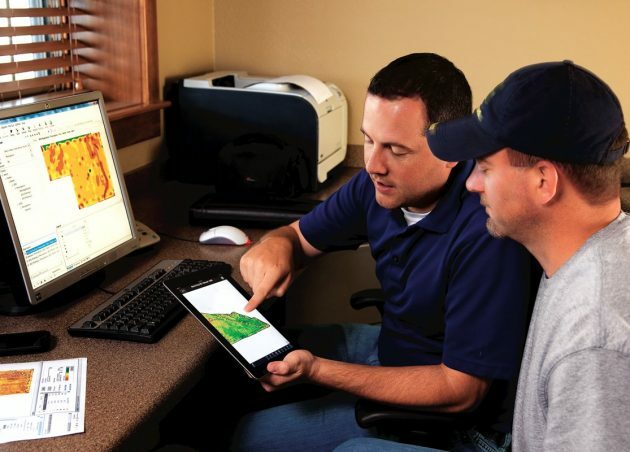 He utilises harvest yield and sprayer application maps which are sent via wireless data transfer to myjohndeere.com for viewing. 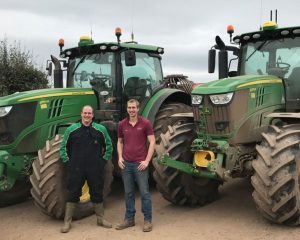 Shropshire based farmers James and Alastair Heath have embraced Precision Farming technology on all of their pig, sheep, potato and cereal enterprises. The business has invested in two RVT RTK units including the new StarFire 6000 with 4gLTE modem, Moisture Probles, and have recently trialled iTec Pro for automated headland steering. “Since using Field Connect Moisture Probes from RVT we have benefited from more efficient use of water and increased yields” comments James. The family team also makes use of Mobile Data Transfer and the Operations centres for storing data.